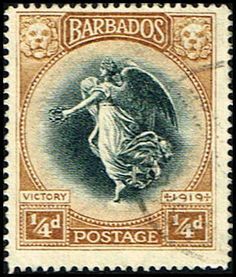 The decision to donate postage stamps and other philatelic material is a personal one. While valuable collections can be sold to stamp dealers, even the most serious stamp collector often finds himself or herself in possession of items that have limited monetary value. While many stamp dealers suggest that such items be "given to children," the practicality of this suggestion is limited. Unless such children (or young adults) actually want the items, and unless you or another adult will be willing and able to spend time with the young person so that he or she is guided in what to do with the items, the gesture is futile and may be an actual annoyance to the young person's family. Why not simply sell the items online, on a site like eBay? Yes, it's true, most philatelic items can be sold on eBay for at least something, but there are two considerations that might compel one to donate stamps and other items instead. The first consideration is purely practical - it takes a great deal of time to prepare philatelic material for sale, describe it accurately, list it, collect the money for it, package it, ship it, etc. Sometimes, all the effort just doesn't seem worth it. With donations, on the other hand, one just packs the stuff up, ships it off, and is done. The second consideration is of a more emotional and moral nature. One really does get a warm feeling from helping others, and if a person has something that he or she no longer wants that someone else could derive joy from, why not make that happen? We know of a few worthwhile charities that accept philatelic material. There are, no doubt, more than these, but this information should be helpful. This is the original Father Flanagan's Boys' Home, and Boys' Town accepts donations of philatelic collections and duplicates as well as coins and paper money. One can call Boys' Town toll-free at 1-888-556-5123. Finally, the American Philatelic Society accepts donations, and is an IRS-recognized 501(c)3 public charity, so donations are tax deductible for most U.S. tax payers.